Digging deep into the PokerNews strategy archives can lead to a buried treasure, so we'll be unearthing a few gems for your viewing pleasure. In this edition of the Strategy Vault series, we're resurfacing a piece from Andrew Robl, first published on Feb. 5, 2010. Robl worked his way up the ranks in poker at a young age, and now plays in some of the largest games in the world, whether that be cash games or tournaments. Robl boasts a career live tournament record of nearly $3.5 million earnings, having most recently scored the first major win of his career at the 2013 Aussie Millions where he took down the AU$100,000 Challenge for AU$1,000,000. The second and third largest scores of Robl's live career came in World Poker Tour events. 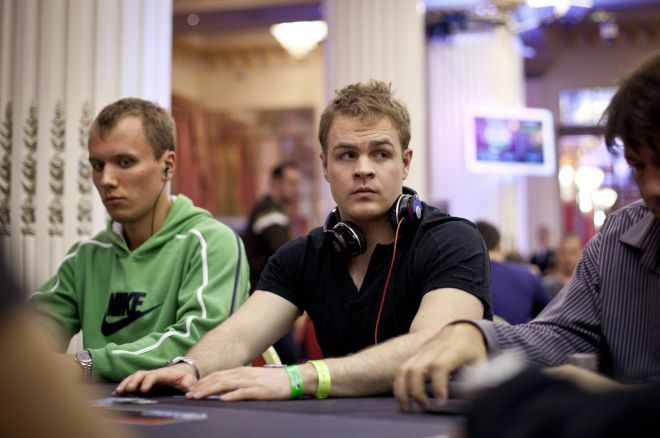 At the 2012 WPT World Championship, Robl took second place for $822,375. In 2010, he finished runner-up to Antonio Esfandiari in the WPT Five Diamond World Poker Classic for $549,003. First off, I’d like to say that I don't think I'm a great poker player. I have been outplayed thousands of times, and some of my opponents constantly outplay me. I tilt, play in bad games, gamble too much, drink too much, and make countless other bad decisions, but I am blessed to know some great poker players. Here are traits they all share. This is by far the most important attribute in becoming a great poker player. It is impossible to become a great poker player without putting in thousands of hours at the table and seeing millions of hands. Due to the nature of online poker, with the ability to play hundreds of hands an hour, it’s possible to get experience faster than ever before. You have to play at least 10,000 hours of poker before you have a shot at becoming a great player. The best way to get started is by downloading an online poker room, and playing small stakes. At the highest levels, everyone’s experience level and knowledge of the game will be near equal. Whoever can adjust to an opponent faster and out-guess what adjustments the opponents are making will come out on top. This is sometimes referred to as "leveling." No matter how much you play, you will not improve unless you actively think about what your opponents are doing. Beyond this, you also need to seek other poker strategies from players better than you are. This can be done several ways through books, training videos, one-on-one coaching or discussing hands with friends. You may also want to check out the PokerNews strategy pages. In poker, it is always important to have a logical, analytical reason for what you are doing. Our emotions are not equipped to deal with probability and randomness, which are two defining elements of poker. The ability to control your emotions in order to make the correct logical play time after time is one of the hardest things to do in poker. Having a strong poker network is key to becoming a great poker player, as referenced above in the desire and willingness to learn. It will allow you to get into the best games and allow you to make friends with the strongest players who can help you further improve. You can begin the process by liking PokerNews on Facebook, and keeping an eye out for tips and tricks. To be a truly great player, you have to have a lot of gamble in you. You have to be willing to take on players better than you at stakes higher than you're used to. At some point, it is the only way to improve. But be warned, it's also a good way to go broke. Eager to see if you have what it takes already? Check out one of our exclusive online poker offers. Follow PokerNews on Twitter for up-to-the-minute news, and also become our fan on Facebook.